When I first began reading writer blogs, finding them challenged me. Without knowing a blogger's name or the name of their blog, Google seemed stumped at my search criteria. 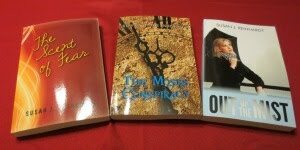 Several blogs were recommended by fellow writers in my local area. There I hit pay dirt. Enter the BLOGROLL. Each blog I visited gave further links. Before I knew it, I discovered a whole network of friends and writing resources. My dive into the blogging pond brought new opportunities. I added links to my blogroll and requested others to put mine on their list. Links are a great way to connect with other writers. I invite you to check out some of the blogs on my sidebar. You'll discover writing advice, devotionals, fiction blogs, non-fiction blogs, and a few general interest blogs. What methods have you used to build your blogroll? Do you use the links as a way to visit your core blogging buddies? I'd like to hear about your Linky Love philosophy. Hi Susan .. you make a good point .. I tend to pick my links from fellow commenters and criss-cross that way .. I actually took my blog roll off - as many of my original links fell away with their blogs and a whole new world opened up .. I want to redo my blog at some stage - redesigned etc .. and now it will be after A - Z .. but I must do something - how right you are .. I put my blog roll together with my blog readers in mind. I tried to find blog that I think are very helpful for writers. I'm w/ Rosslyn--haven't coordinated that yet. But it's been on my mind and I need to show some linky love. For the time being I have guests who have graced the face of my blog on my sidebar. When I have time, I sometimes will visit blogs I see on my friends' blogs. I always check out my new followers too, to see if they have a blog. If I can embrace their philosophy, I follow them. Commenters are also a great way to find other blogs. I've discovered many via that route. Another point I forgot to mention in the post: I'd keep the blogroll on the main page. It's rare I visit a dedicated blogroll page. Good strategy and one I generally follow with few exceptions. A friend, who is savvy about Google, advised me to keep my links related to my subject. Otherwise, Google would consider me a "link farm." This plummets your Google position. I think having guests is a great way to widen our audience. Their circle will follow them and "discover" our blogs. We also give them a boost by opening our readers to them. I also contact every Follower to the best of my ability and visit their blog. I've met many new blogging friends this way. Oh no! I'm so sorry you lost your blog. This is a great reminder to back up your blog to your hard drive and a thumbnail drive. I haven't changed my password in awhile. I'm putting that task on my to-do list now. I'll be right over to Follow you again, Kelly. The way I got readers was to go to the one or two blogs I had, pick some of the comment people and list a comment on their blog. As this grew, I contiured the process. It is still the way I work, but I don't have time to visit too many more people right now. I always want a few new people, but I love my core readers. They enrich my life. Wasn't it fun to develop that network of friends when first starting out blogging? I rememebr stumbling around in the dark for a while. Like most,I met bloggers through other bloggers comments and things took off from there. Ditto Karen (I feel like I'm following you around, girl, and just nodding vigorously, saying, "What she said"). Good one to think on, Susan. I've not gotten real official with it, but probably should sometime. 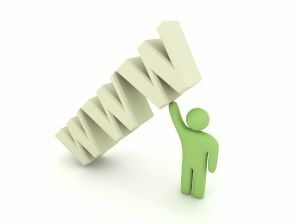 Hi Susan, my links grow from searches, friends' recommendations, and those who search and find me. These readers of my blog have wonderful links themselves. I subscribe to several agent blogs and they're always posting about links to check out. But, alas, there are only so many hours in the day. . . Yes, it was fun and still is! I could spend days blog hopping. LOL! I scrolled back to see what Karen said. Commenting on blogs and hitting blogroll links works best for me. You said it so well! I can't begin to count the number of time management articles I've read and posted myself. It's good to re-evaluate your blogroll from time to time. I recently added a couple, and deleted links that are no longer working or active. I know I should probably know this, but what is GFC? Are you talking about the Blogger Reading List? I hadn't thought of blogroll as a tool like that. I guess I have a few things to learn about the cyber world. And, what is GFC? I have a blogroll on my sidebar and add more blogs on a weekly basis. I am hoping Blogger doesn't have a limit. I love encouraging other bloggers and writers!